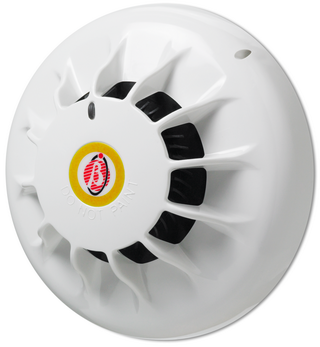 601PH detector react to the whole range of fire products from slow smouldering fires, producing visible particles to open flaming fires producing large numbers of very hot smaller sized aerosols. It combines optical and heat detector technology to detect clear burning fire products which hitherto could only be easily detected by ion-chamber detectors. For normal ambient conditions, the high performance optical detector behaves as a normal optical detector. Only when a rapid rise in temperature is detected does the sensitivity of the detector increase and the presence of smoke will confirm a fire condition. The HPO will not operate on a rate of rise of temperature alone.